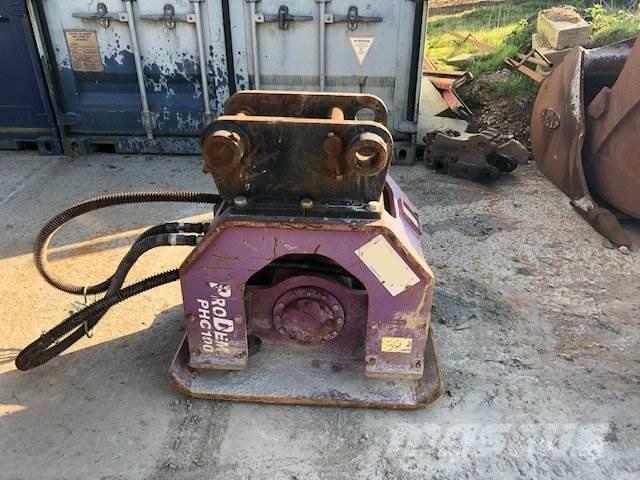 Other information 2017 PRODEM PHC100 PLATE COMPACTOR. TOP BRACKET HAS 2 SETS OF PINS, 50MM + 65MM. FIT 8 TON AND 13 TON EXCAVATORS.